For a warm and pleasant stay in the Lot, we welcome you in our B&B La Chêneraie. Sabrina, Lemoni and Gert welcome you all, tourists, hikers, motorcyclists and culture lovers, all year round, to their guest house! 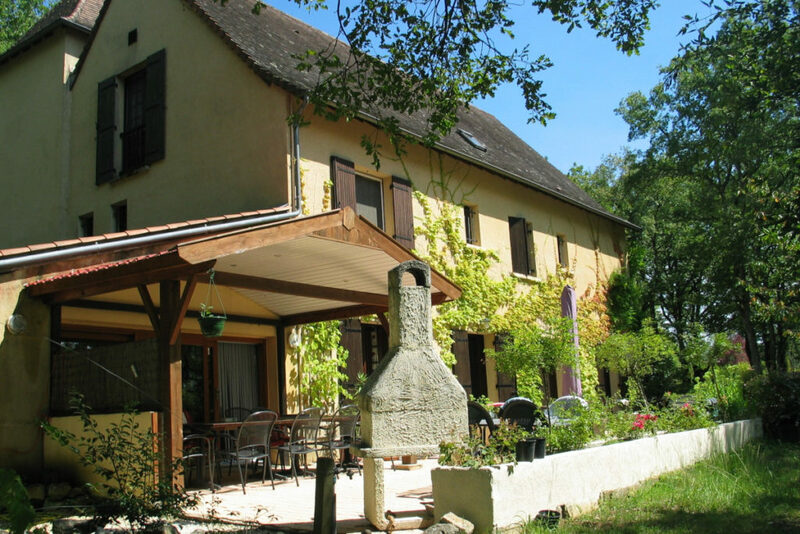 You can visit B&B La Chêneraie in Payrac, a small village easy to find and centrally situated on the border of the departments Lot (Quercy) and Dordogne (Périgord) between Sarlat and Rocamadour. You can visit easily all the highlights of both regions starting at our B&B. The house has 5 comfortable and well-equipped rooms with their own bathroom facilities, terrace and private entrance. There is a large surrounding garden full of oaks with a petanque, swings, trampolin and a small playhouse. Just discover also the authentic feeling around the pool (10 x 5 m) with its roman stairs and panoramic view on the valley. B&B La Chêneraie is very child friendly.